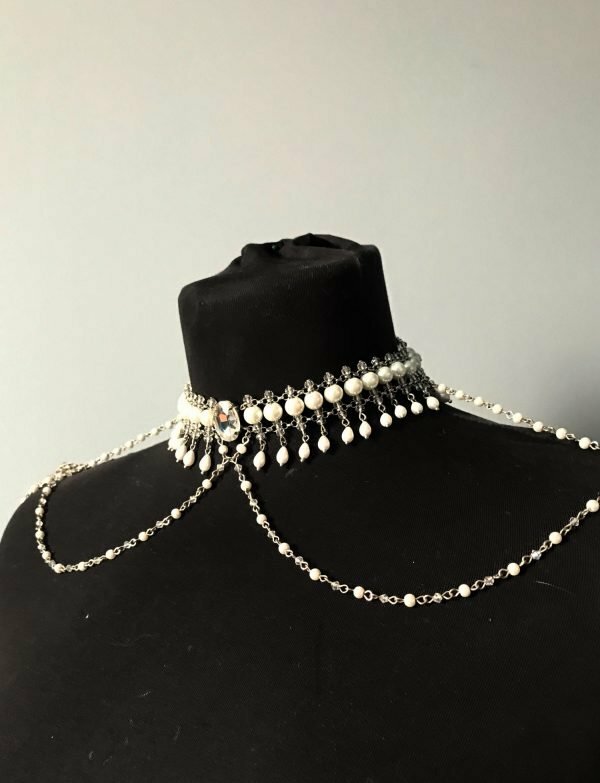 Very delicate pearl shoulder necklace with light epaulette brooches. 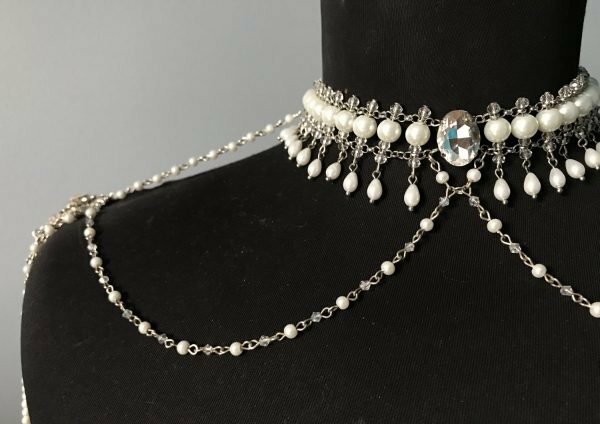 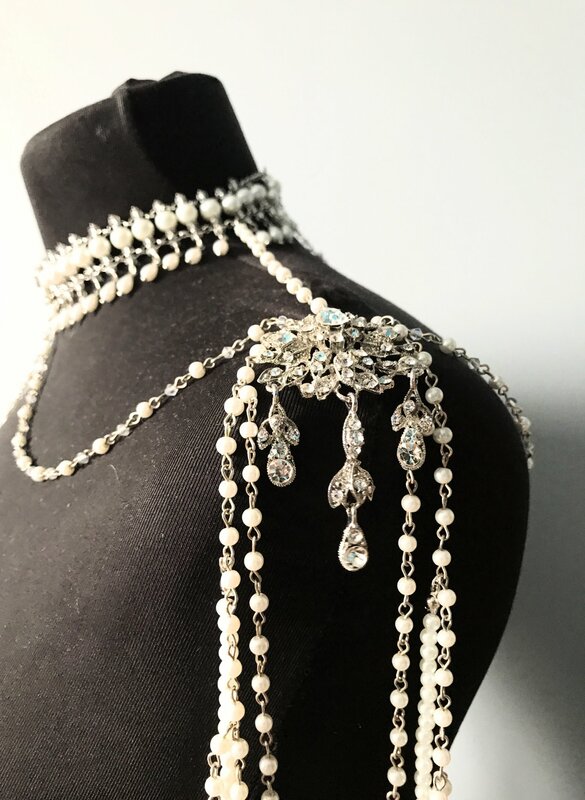 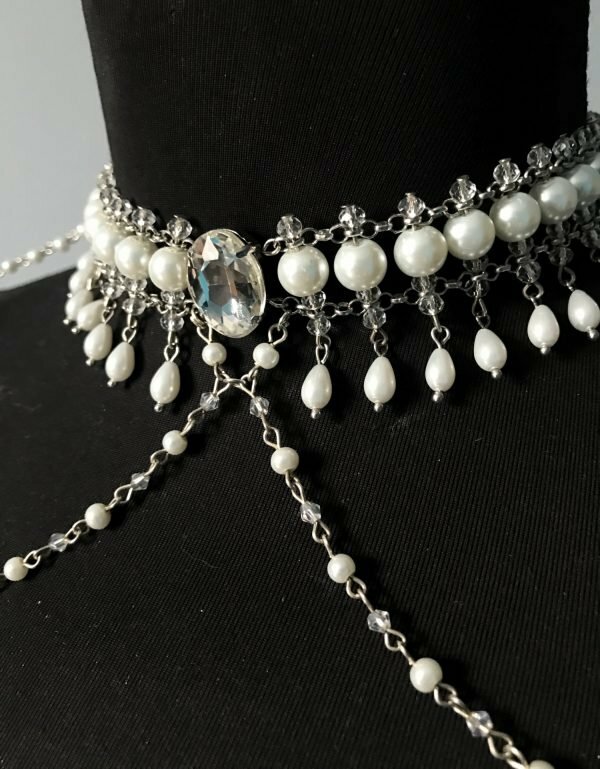 Necklace will be a great addition for the bride as well as any other brighr event. 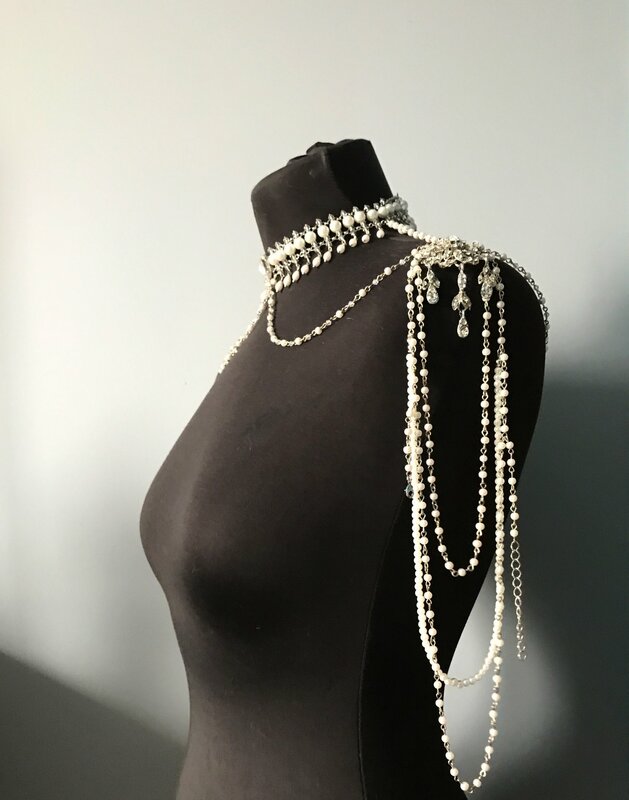 Majorica pearl drops very nicely move on the neck. 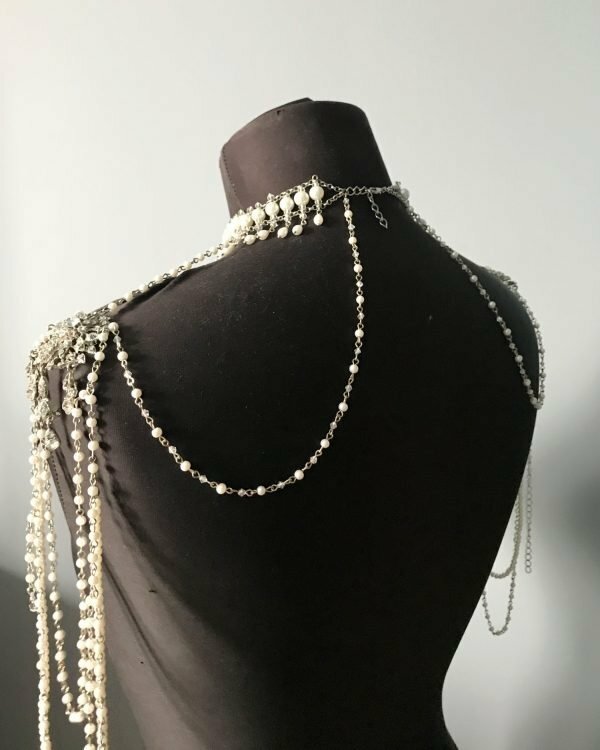 Shoulder necklace has 2 underarm clasps (these clasps hold the elements on the shoulders) and 1 clasp on the back.